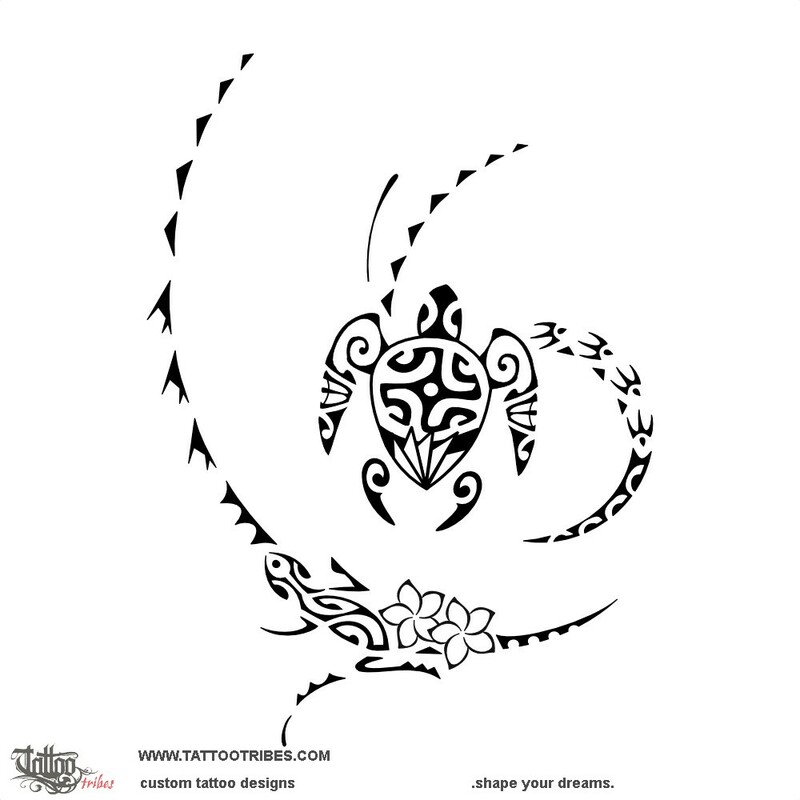 This tattoo was prepared for Ana´s shoulder blade and it symbolizes help and protection to the family. 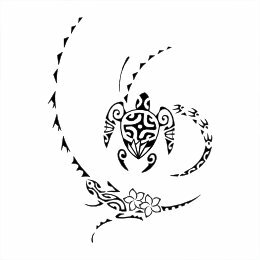 The turtle incorporates two tikis on the front flippers for protection from all sides, while the shell has a Marquesan cross for harmony and flax leaves for unity. The elements around the turtle include frangipani flowers, a lizard for health and good luck, waves for change and birds for voyage. We included octopus tentacles for adaptability and strength, mountains for stability and fish for prosperity. ´Utuāfare is the Tahitian word that identifies the family home and it also refers to the family living in it.